His Honour M. A. Carrington (Chairman), Hon. J. D. E. Boyce, Hon. D. St. E. Kellman, Hon. R. L. Sealy, Dr. the Hon. D. S. Lowe, Mr. G . A. Clarke, Lt. Col. J. D. Bostic and Mr. D. G . Sutherland. Hon. C. P. Sinckler: To move the passing of a Resolution to guarantee the repayment of principal amount of $3 000 000.00 Barbados dollars and any interest or charges payable thereon, borrowed by the National Petroleum Corporation from the National Insurance Board for the purpose by the Corporation of financing capital works projects aimed at reducing the loss of natural gas through the replacement of corroded pipes and improving the efficiency in the gas transportation network. Hon. C. P. Sinckler: To move the passing of a Resolution to approve the guarantee by the Government of Barbados of the principal amount of $25 million Barbados dollars and any interest necessary borrowed by the Queen Elizabeth Hospital from RBC Royal Bank (Barbados) Limited for the purpose of the redemption of the bond issue in the sum of $25 million Barbados dollars arranged on behalf of the Queen Elizabeth Hospital by Citicorp Merchant Bank. Notice of this Resolution was given on 16th December, 2013. Hon. D. St.E. Kellman: To move the passing of a Resolution to approve in accordance with section 5 of the Crown Lands (Vesting and Disposal) Act. Cap. 225. the vesting in Hotels and Resorts Limited of the parcel of land together with buildings thereon, the property of the Crown, situate at Hastings in the parishes of St. Michael and Christ Church and set out in the First Schedule in exchange for the parcel of land situate at Hastings in the parish of Christ Church on terms set out in the Second Schedule, for the construction of a Police station by the Crown. Hon. D. St.E. Kellman: To move the passing of a Resolution to approve in accordance with section 5 of the Land Acquisition Act. Cap. 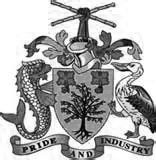 228. the compulsory acquisition by the Crown of the parcel of land, situate at Lot 1 Groves Industrial Estate in the parish of St. Philip in this Island, for the public purpose of the construction of a civic centre. of Supply to consider the grant of sums of money for the service of this Island. (a) Hon. J. D. E. Boyce: To move the passing of a Resolution to grant the sum of $4 486 141 from the Consolidated Fund and to place it at the disposal of the Government to supplement the Estimates 2013-2014 as shown in the Supplementary Estimates No.5 2013-2014 which form the Schedule to the Resolution. Notice of this Resolution was given on, 20th December, 2013.